Is Apple working on an iPhone 5SE? There are rumors circulating that tech giant Apple is building what many believe would be the iPhone 5SE. It will be a 4-inch handset, one that appears to be a souped-up version of the iPhone 5S, but draws a lot of features from the iPhone 6. If initial reports prior to Apple’s official announcement are to be believed, the iPhone 5SE will sport an A8 processor, 8-megapixel rear shooter, 1.2-megapixel front camera and NFC chip. Aside from that, it is highly likely that the iPhone 5SE will feature a faster connectivity. As a matter of fact, a fresh image that leaked online purports to belong to iPhone 5SE. Indeed, it is a 4-inch smartphone, although we cannot confirm or deny the photo’s veracity. As of the moment, everything about the leaked image should be taken with a grain of salt. 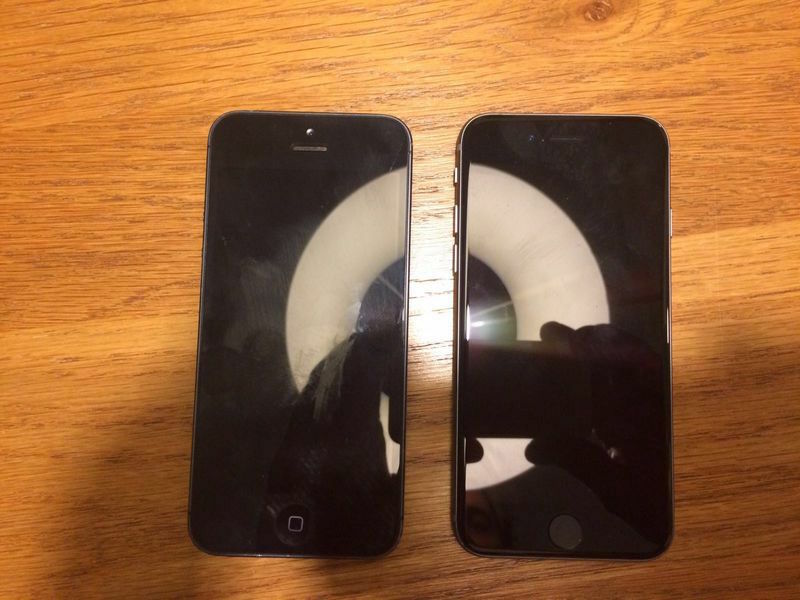 Looking at the photo, where the supposed iPhone 5SE is placed beside the iPhone 5, we can see that the size of the handset in question is similar to that of the iPhone 5S. Nonetheless, it incorporates a curved glass around the edges that suggests the design of the iPhone 6 and iPhone 6S. The leaked image is also more suggestive of a smaller version of the iPhone 6 due to the presence of the volume buttons, a silent switch and a power button mounted on the side of the body. Some tech pundits also expect the iPhone 5SE to come in the same color options as the iPhone 6S. But more controversial than the image is the name itself. iPhone 5SE is something that we never heard before in the history of Apple’s product lines. Moreover, the device is said to include support for the Live Photos feature. However, in order to support the Live Photos service, an iPhone must have a 3D Touch. That means older versions (iPhone 5S and older) of the Apple smartphone cannot support the 3D Touch. It sounds strange for the iPhone 5SE to support Live Photos then because it will not have a 3D Touch display, according to rumors. But 3D Touch is not at all an absolute requirement to have Live Photos working on your iPhone. Just pressing on the screen long enough would suffice. This highlights a certain level of insignificance for the 3D Touch, which Apple introduced recently with much fanfare because you can do without it with the use of a long press.